Just like those sleek black suits they do so well, when Armani releases a new foundation, everyone's buzzing about it. 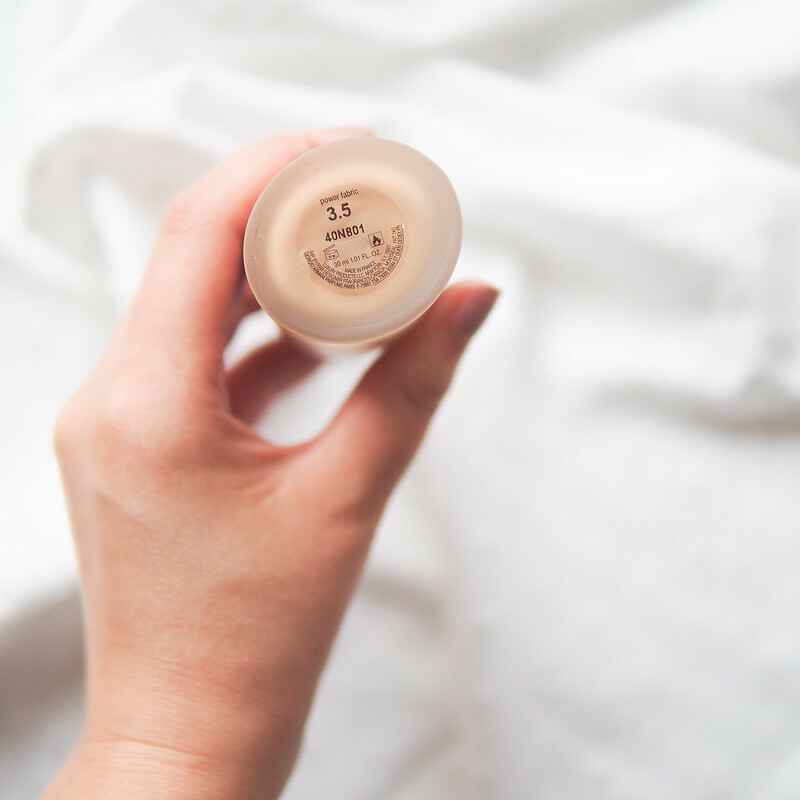 While there has a been a few base product launches in recent year, the Power Fabric Foundation* seemed to me like the brand's way of re-energizing their image... after all they are known for the untouchable Luminous Silk. 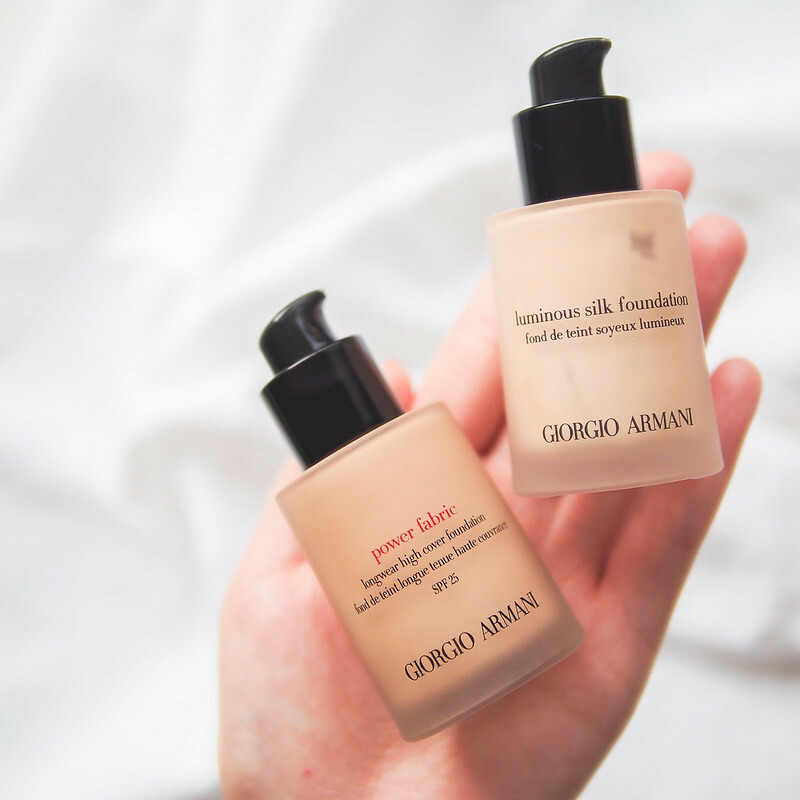 With words like matte, flawless and full coverage being the selling points these days, Armani plays its card. I've used it pretty consistently for the past month and I'm ready to talk. Presented in an iconic frosted glass bottle, what denotes Power Fabric is the red Armani insignia on the lacquered cap. Pumping out the product, I was surprised that it had a thick almost moussey consistency but it applied thin on the skin and blended out easily whether you used fingers, beauty blender or a dense fluffy brush. There is an every so slight skincare scent to the foundation but it was neither strong or bothersome. One full pump will give you a single half face application so this is certainly one of those products that you will run through fast with regular wear. According to the Sephora website, there's currently a spectrum of 12 shades available in Canada and 20 shades listed in the USA ranging from but there's likely additional offerings around different parts of the world according to the regional demographic - it's a pretty popular set up by many luxury brands. 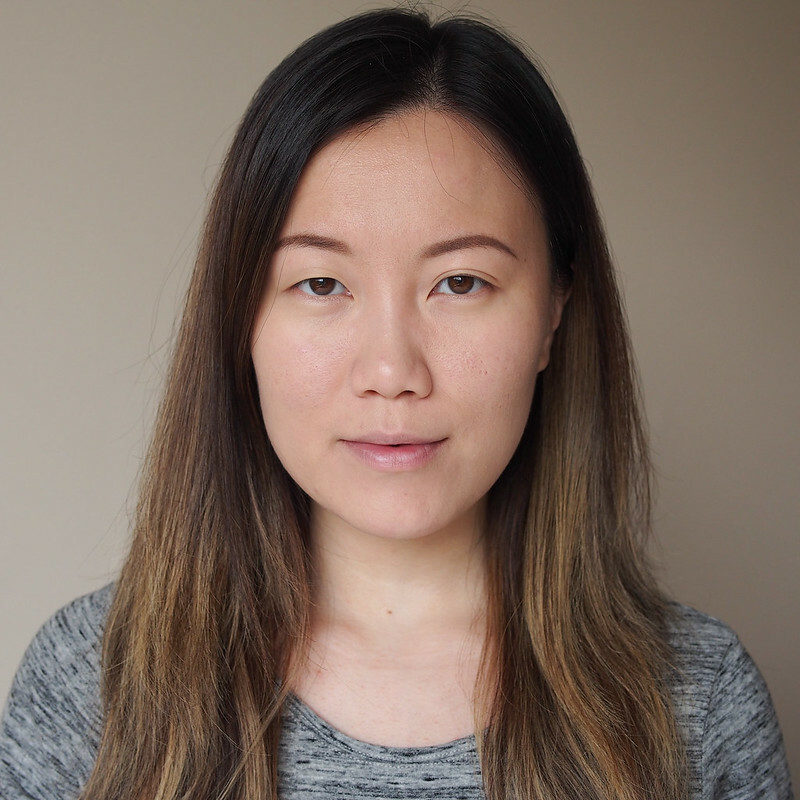 My testing shade was #3.5 and is listed as neutral for fair skin tones which blended in like a great match despite coming off very dark and red in the bottle. You can see (below) that it's a smidge dark compared to my neck but not terribly noticeable. My usual shade is MAC NC15-NC20, see my full range of matches on My Stats page. I prefer wearing this over a pore smoothing primer especially for the center zone of my face but my swatches are over bare skin. It does cling slightly to flaky patches and I find a beauty blender is best for those problem areas with texture. Power Fabric photographs so beautifully! 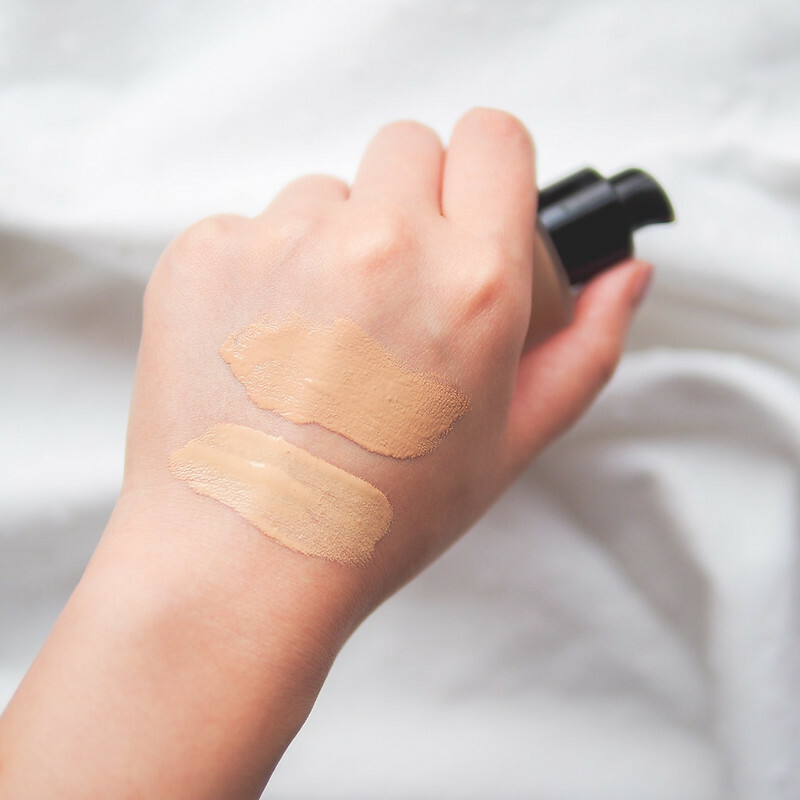 Despite being marketed as full coverage, I would call one layer a medium and I had a hard time building it up to a true completely coverage. Non the less, I love how it retains a touchable skin like quality and it's certainly not a true matte foundation. Dry down has a slight powdery touch and there is also some transfer if left unset. This is where things started to go downhill and quick. Going solo, Power Fabric stayed neat for only 3-4 hours and with a primer / setting spray combo, it was only able to push through to about 6 hours before I felt like I just really needed to take this off. Now while that doesn't sound bad at all from a regular running to the grocery store perspective, I was expecting more from something that claimed to be full coverage and long wearing. 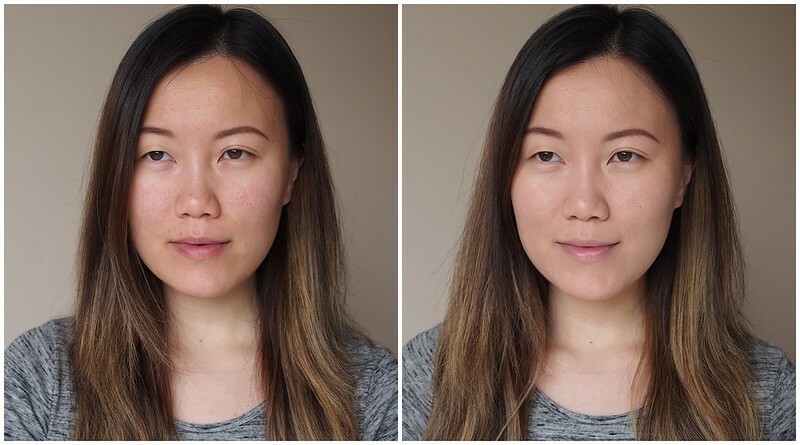 On the plus side, while I certainly noticed a good amount of wear problems, the foundation never fully melted off my face even in this summer mugginess yet this is certainly not something I'd recommend for those truly oil skinned. This is the burning question then and my vote still swings towards Luminous Silk as the preferred formula for my combination skin and my makeup style. I found lasting ability to be about the same but LS is easier to smooth over skin texture and offers a satin touch finish that I prefer. It's still my go to event or date foundation of choice. 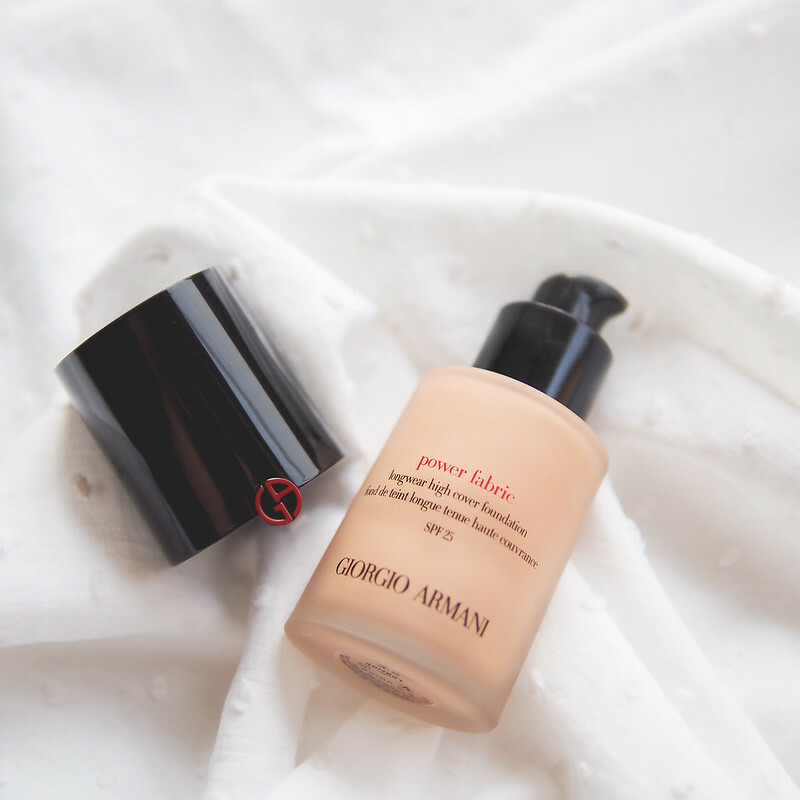 Giorgio Armani's Power Fabric Foundation is a medium slightly buildable coverage soft matte foundation which photographs excellently but lacks in staying power. The SPF is a nice added bonus and doesn't appear to cause any flashback but shouldn't be relied upon for solo sun protection. I can see Power Fabric useful for achieving a particular velvety finish for a short event or occasion but it's not something that I feel can put up with day to day stressors unless you work in mild temperature controlled environment or have dry to normal skin. So while this is not a bad product per say, it was a disappointment measured against its claims. 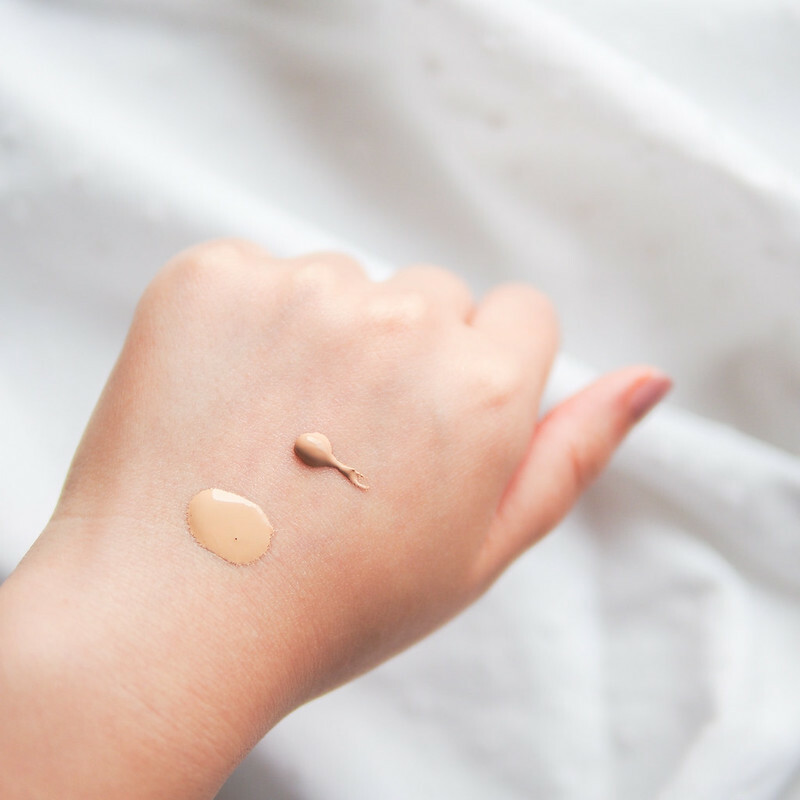 Additionally, for a similar effect and similar lasting ability, MAC's Studio Fix Fluid or Estee Lauder's Double Wear are very comparable at a much lower price point.